In Chile, Army Day is celebrated as a public holiday on September 19. Its Spanish name is Día de las Glorias del Ejército, which literally means Day of the Glories of the Army. Army Day is considered part of the two-day celebration known as the Fiestas Patrias. 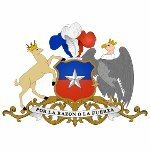 On September 18, Chileans celebrate Independence Day. It is marked as the first day of the Fiestas Patrias, two national holidays that commemorate the independence of Chile and honor the country's military. The second day is known as the Day of the Glories of the Army, or simply Army Day. It marks the anniversary of the very first military parade in the history of Chile. Army Day was formally established in 1915. Chilean Army Day is celebrated with the Great Military Parade that involves all branches of the country's Armed Forces and the Carabineros de Chile. It was first held in Santiago in 1810 to commemorate the establishment of the First Government Junta. The parade takes place in the O'Higgins Park in Santiago, and smaller parades are held in other cities. Army Day marks the end of the two-day holiday, but the celebrations can unofficially last for about a week. Most schools and businesses declare a week-long vacation for the Fiestas Patrias.